It’s the beginning of a new year and a great time to set new life and career goals. Although we all have different goals in life, the number one goal for everybody should be the same: to be happy. It might sound trivial, but if you think more about it, it’s not. Do you like your job? Are you happy with your research topic? Are you having fun with your lab mates and colleagues? Do you like where you live? After my talks with Rita and Nathalie, I share here my top three steps toward happiness. Step 3. Remember that happiness is also when you feel accomplished. 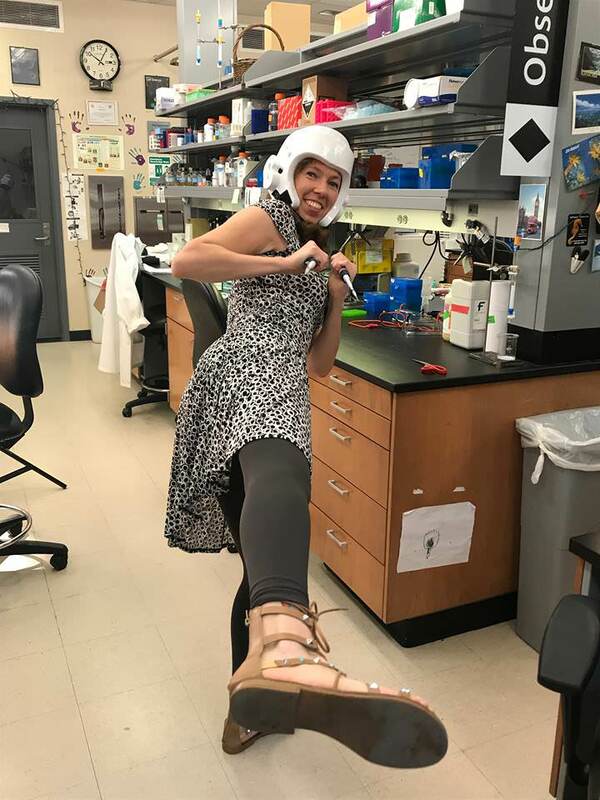 Find hobbies that fulfill your life outside the lab and make you feel like you have accomplished something, even when that cloning didn’t work again! Don’t know how to start a new hobby? “I sometimes find hobbies by reading my emails or looking on the Internet, and I just register and go for it,” says Nathalie. “For example, in 2017, my hobbies were mostly Taekwondo and art.” For Nathalie, one of her hobbies has turned into another career. “One of my friends is a children’s book illustrator, so I decided to take the children’s book writing class at RISD (Rhode Island School of Design) to write scientific bedtime stories that my friend could then illustrate.,” Nathalie says. “I work on sea urchin development in the lab, and I wrote a children’s book about a sea urchin and a sea star. I have ideas to write more stories about other animals, and the goal is to teach real scientific facts to little kids through a fun bedtime story.” Nathalie is now working on a book that will be published soon. Another important reason why I think we need to work on developing our own happiness is that our mood strongly affects our everyday life—and the lives of the ones we spend time with. As Nathalie says, “I love to see people happy, and I do my best to help them stay happy. Everyone is dealing with problems at some point in their lives, and helping people to be happier makes me happy. I do my best to be kind and helpful to everyone. If I can help someone and make their life easier, it makes me happy.” Do not neglect your own happiness, because being happy improves your life as a human being and your career as a scientist, and, even if it is not immediately apparent, it also has a huge impact on the people around you. If something bothers you, if you are an unhappy scientist, now it’s time to act! What are you waiting for?